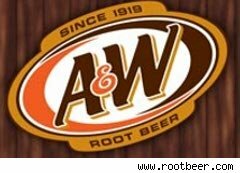 Free A&W rootbeer float - print coupon ASAP! Get a free root beer float from A&W when you print the coupon ASAP! There are only a few thousand of these available so they will go QUICK! The coupon itself is good until Oct. 23, 2010, but make sure you print it out immediately, even if you don't plan to use it for a week. With this coupon, you get a free regular float, no substitutions. Caveats: one coupon per customer per visit. Valid only at participating locations.